Gearbox CEO Randy Pitchford's recent comments about Steam were "twisted and contorted," according to the company's creative director, who says the guys at the studio are actually really big fans of Valve's digital distribution platform. Pitchford raised some eyebrows last month when he said, "As a guy in this industry... I don't trust Valve." The problem, he claimed, is the inevitable conflict of interest that arises when competing studios want to publish their games on the Valve-owned Steam. "There's so much conflict of interest there that it's horrid. It's actually really, really dangerous for the rest of the industry to allow Valve to win," he said. 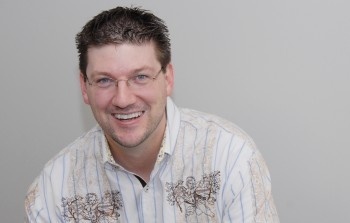 But Pitchford doesn't have an anti-Valve bias; his comments were simply taken "really out of context," according to Gearbox Creative Director Mike Neumann. "We love Valve. We love Steam. We're doing good on it right now. It's a really great platform," he told VG247. "[Randy] was simply making a sidenote. Like, 'Hey, they're a developer, and they also self-publish. There might be a conflict of interest there'," he said. "It's not like I disagree. There might be conflict of interest there. We haven't seen any evidence. It's all on the honor system. But it is a bit like, 'Hey, let's at least acknowledge that we're all on the honor system here.' It's a little sketchy." In fact, Neumann said that rather than being critical, Pitchford's comments just proved that the guys at Valve are solid dudes. "I think the comments about exploiting developers really just got twisted and contorted. I think [Randy] was trying to stick up for the little guys a bit, and it was cool to see all the indie developers that have been using Steam as their platform come out and say Steam's awesome," he added. "And it's like, okay, the honor system's working and everybody's doing well. So really, all we proved is that Valve's good people, and this is working out. So we'll stick with this." Be sure to tune in next week, when Neumann clarifies Pitchford's recent remarks about Valve being PS3-hating fanboys while balancing a spinning plate on his chin.